Smells like cake! 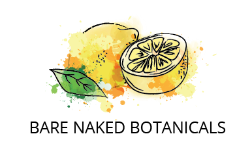 Fresh, zesty Lemon essential oil and the sweetness of Bitter Almond combined with a unique blend of ingredients to naturally combat excess moisture and control odor while treating the sensitive underarm skin to lightweight, healing ingredients, and skin beneficial essential oils. This Zero baking soda means zero irritation! Powdered Magnesium and Organic Potato Starch offers the powerful combination to combat moisture and odor. t's our belief you can achieve subtle, beautifully fragranced deodorants that work to combat moisture and odor without compromise! The ingredient combination in our deodorants will offer dry underarms, naturally fragrant benefits without the ineffectiveness and/or irritation many natural deodorants cause. Now you can pair this zesty natural deodorant with an equally delicious body cream. You can find Lemon Cake body cream here. Full List Of Ingredients: Organic Potato Starch, Magnesium Hydroxide Powder, Organic Coconut Oil, Grape Seed Oil, Organic Shea Butter *Glyceryl Stearate, *Cetearyl Alcohol, *Sodium Stearoyl Lactylate, Candelilla Wax, Aloe Vera Leaf Juice, Witchhazel, non-nano Zinc Oxide and a proprietary blend of Essential Oils including Lemon and Bitter Almond. *ECOCERT for use in organic products. This treat smells so delicious! Goes on smooth and works good better then other natural deodorants this is definitely a win!! I love this product so much I bought one for each member of my family. I love it! Thank you for making an amazing product. This smells lovely, goes on smooth and last a long time. Once rubbed in properly You can’t see it on your skin. You can get transfer if you’re not careful with your tshirt, but once it’s on I haven’t had transfer issues. The only thing that could give this 5* is if the Lemon smell lasted longer (not going to happen with essential oils/ natural scents), but it does stop body odor smell for a LONG time. The best natural deodorant by a long stretch. Wow! What a treat. Smells SO good and works great. This product way exceeded my expectation. I haven't used deodorant in years because of the toxic things in it. I don't really have issues with smell unless I am working out really hard, but I sweat really easily. I do a lot of hot yoga so my sweat glands know how to detox. I originally bought the cococut and loved it! So when I ordered more I bought this one as well. This product is amazing! It smells literally like lemon cake! I have always suffered with rashes from shaving & using deodorant, NO MORE! I am a life time user. Just bought more for my 22 year old daughter. And my husband loves the coconut and ditched his regular deodorant! I love all these deodorants but the lemon cake smells amazing! Such a great feeling to know that I’m not putting anything unhealthy in and in my body that actually works! After experiencing irritation and rashes with other brands of natural deodorant, I decided to give this a try. It works fantastic, lasts all day and zero irritation! Love it! Love this fresh scent ! It really does work wonderful, even while working out. I never thought I'd find a deodorant that I would pay $14.00 for. Plus shipping. I mean, that's A LOT! But, as a breast cancer survivor I decided to make the switch to an an all natural deodorant and after many many stinky months - this is the only product that works. And - I LOVE the way it smells. Since starting to use Bare Naked Botanicals deodorant last year, I will NEVER EVER go back to the old stuff, my husband won't either. We used to live local to the owner, and visit her to re-order, but we have since moved to Florida and will STILL continue to order. The deodorant not only works, but its all natural, gentle, smells delicious (like fresh lemon) and lasts all day! I highly recommend trying it if you have not yet! I've tried every natural deodorant possible and none provided the wetness protection like I needed until I tried this one! Not only does it smell incredible but it's gentle on my skin and is the best natural deodorant I've ever tried. So happy I found Bare Naked Botanicals and cannot wait to try other products!